or the past few years, I’ve worked as the Chief Technical Officer of one of the world’s largest consulting firms, where my job is to learn of the latest technologies on the market and figure out the most interesting and useful ways to deploy it for businesses. With an international work force of sixty thousand employees in thirty-six countries, I’ve had to travel for the majority of my time to keep up with my employees and introduce them to these technologies that will make our company, and that of our clients, run more efficiently. As soon as I finished the tour, the next hour I was at a breakfast meeting with clients in Boston. As I’ve learned over the years, my position requires me to be in two places often at the same time. The way I was able to be in both Bangalore and Boston within an hour of each other was through the use of my Double. Double is “an iPad based telepresence robot” created by Double Robotics and backed by the Y Combinator startup accelerator. It is a 2 wheeled, 5 foot 5 inches tall robot with an ipad as ‘it’s face.’ It moves like a Segway forwards and back, left and right. As I sat in my office in Boston, I controlled the robot through my iphone, with my face in full screen on the ipad. I could move the robot side to side depending on who I was speaking to and look up at the ceiling or down at the floor as if I were turning my own head. It’s simplistic look allows it to fit anywhere, and I was able to walk along with my peers and show them around, and tour the innovation center in India with them all from my office in Boston. When I learned of the conflict in schedules just a week before the launch, our offices shipped the Double to Bangalore and asked the staff to simply keep it in a room until the day of the launch. When the meeting started, I remotely turned on the robot and wheeled myself out into the open forum space and greeted them all through the Ipad. Needless to say, the entire leadership team was struck by the effectiveness and personalized feel of it. The success of the meeting made me wonder about using the Double when a physical presence at a location could be difficult. The possibilities itself need not be constrained for business use only. In fact the Double was developed and designed by an MIT graduate for his grandmother who was unable to travel from Kansas to Boston for his wedding. 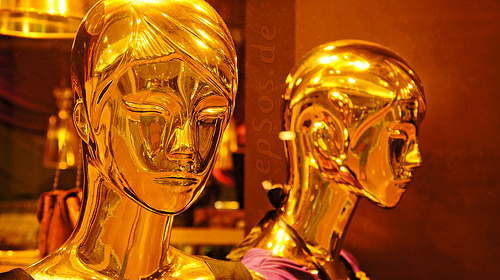 Unsatisfied with the concept of live streaming the event, and wanting her to be able to interact with him, and the rest of the guests as the event happened, he designed the robot to allow her to login from her iPad at home and move around the wedding hall or mingle with guests as she pleased. And in return, wedding guests and family experienced her presence too. Knowing this about the Double certainly broadens its potential and that beyond business and social reasons. I then wondered how Muslims could use it for religious rituals that are physical in nature. I agree that the best way to experience rituals is to be there physically, in the masjid or at the pilgrimage site at Hajj for example. But as to its mandatory nature, I’m uncertain about the legal implications to this thought. We know that life can take its own course, and in the instance when one is incapable of physically participating in these rituals for various reasons, be it due to health, or lack of finances or living in a war struck area, would the Double be effective? Is it possible that these technologies as they develop might broaden the ability for more people to experience rituals and may potentially revolutionize Islam? The recent TIMovation question posed by TIM editors, where I am also serving as guest judge, readers are asked to imagine what a mosque will look like in 50 years, which requires one to consider how technologies will also change these physical ritualistic spaces. Take the Friday prayers, for example, which are considered obligatory on all Muslim men to attend. But what of those men, or women, who for whatever reason physically can’t? if the underlying presumption of the prayers is to build a sense of community and solidarity, wouldn’t a Double actually bring more people, who would otherwise be isolated or left out of these physical spaces, in to a greater communal experience, that is mutually beneficial to all members of that community because of the ease of interaction and engagement? And then I wondered about Hajj. 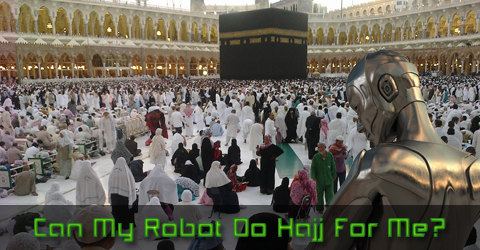 What of those who physically can’t perform the hajj, or can’t afford to travel the distance (because lets face it the cost of hajj increases every year, making it nearly impossible for many to perform), if it were me, could my robot do Hajj for me? Is it possible that the Double could make its way around the Ka’baa and perform all the rituals required all the while being controlled by its user back at home? True that for incapacitated this religious obligation has been exempted, but wouldn’t this give them the opportunity to enrich their own religious experience and give them access to something that would otherwise be impossible for them? I grant the argument that many could in return abuse this technology because it is easier for them to not go, or they would rather take the easy way out. But that aside, I recognize that these are real challenges and questions that our faith spiritual and religious leaders will have to encounter soon enough. And beyond Muslims, it may be a question that can affect virtually all religious communities who depend and rely upon physical experiences as part of their ritual that make up the religion. In some ways Muslims have already made use of technologies, and as we progress towards the future so to do the methods through which we perform our rituals, such as sending a question to a sheikh online, attending a khutba through an eMasjid, astronomical calculations for eid, a digital adhan clock as a reminder for prayers, and so much more. I wonder if eventually, Muslims might embrace the thought of a Double aiding them in performing their religious obligations and how muslim scholars will begin to navigate this tricky area of physical rituals in body or in live format interaction. The body in ritual is not at all a new concept, with many arguing and disputing the Prophet’s night ritual to heaven having been in body itself or in spirit. Perhaps we might consider that we must move with the times, with every innovation that is being created, there is an opportunity to enrich someone’s experience in some way. The image of Makkah filled with pilgrims circumambulating side by side with Doubles may be the image of the future. Or will it? The main point is, this will be an important conversation that Islamic scholars will soon enough have to address. 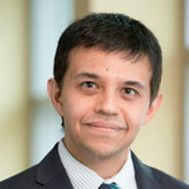 Imran Sayeed is part of the entrepreneurship faculty at MIT Sloan School of Management, where he teaches in the MBA program.